Biography: Nathanael Adams Cole, born 1919 in Montgomery, Alabama, died 1965 in California. Singer, pianist, composer, actor. 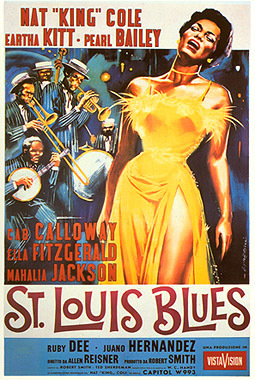 Nat Cole played the role of W C Handy in the 1958 film St. Louis Blues.